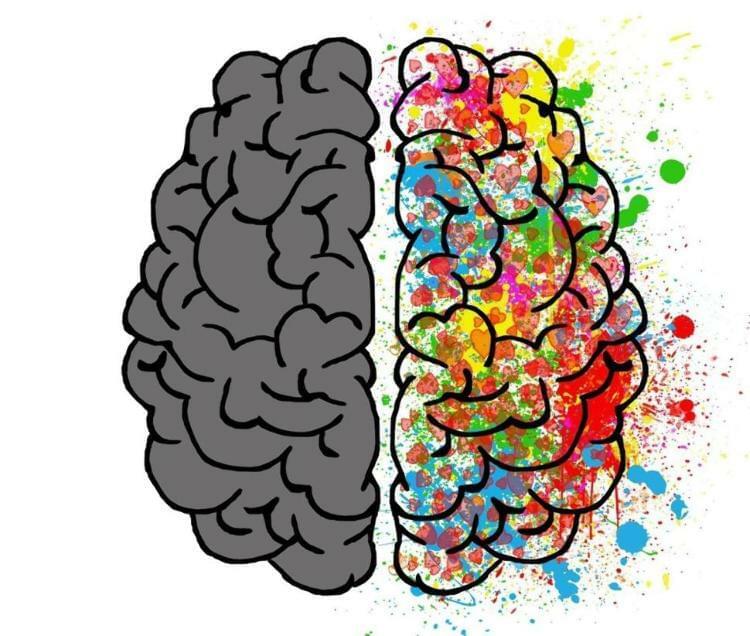 It is the left side of our brain that ensures that we understand language and produce speech, but it is the right side of our brain that looks after the intonation of our speech. This was discovered around 150 years ago, when doctors noticed that patients with a stroke on the left side of the brain often lost speech, and that those with a stroke on the right side mostly spoke in a monotonous voice, without any intonation, rhythm or stress. Just to reiterate, sounds picked up by the right ear are processed in the left brain-half and vice versa, then how is it that we perceive an uninterrupted and smooth movement of sound when, for instance, standing on the side of the road and we hear a car passing. There is no dip or jolt in the sound we hear when the sound goes from one side to the other side. Judging by what we hear, we would not know that the processing passes over from one side to the other. These are just two examples of how the brain coordinates and synchronises the two sides. We initiate our speech on the left side, but then we add intonation to it from the right side, in perfect harmony, just as the two sides work together to ensure sounds move smoothly from one side to the other. We take this function for granted, but we can see from the uncontrolled movements of new born babies that it is something that we have to learn and practise. Vision, sound, touch, movement and balance all use processing spread across both brain halves. Therefore for all these senses it is critical to coordinate, synchronise and eventually join the information flow together in a structured and meaningful way, that helps us make sense of the world around us. In the first few years of life we make great strides in synchronisation the two sides of the brain and by the age of three most children will have mastered the basics. When this coordination and synchronisation process is delayed or not fully developed, then we can notice the effects in abilities and behaviour. Poor fine and gross motor skills are easy to observe. Poor synchronisation of the visual system may lead to moving letters, slanted lines or the need for coloured glasses or overlays. In the auditory system this may lead to hypersensitivities or poor sound discrimination, which in turn will affect attention and concentration. By providing fast and unexpectedly changing auditory input through headphones, with a constantly changing stereo image, the auditory processing centres have no choice but to start working better together in order to make sense of this unusual input. This workout for the brain helps to speed up decision making, improve sound discrimination and reduce sensitive hearing. Surprisingly, the effects of this kind of auditory activation do not only impact on the hearing. We have also seen many striking examples of improvements in balance. That could of course be due to the fact that our sense of balance, our vestibular system, forms part of our inner ear and is thus in some ways linked to our hearing system. More surprising is the fact that any of the other senses may also be affected. It is not unusual to observe changes in eating habits due to the fact that the sense of smell or taste has changed. Interesting for Dyslexia in particular, we often notice changes in the way visual information is processed. It may be that coloured glasses or overlays are not needed any more, or that printed text is seen much clearer, without movement or distortion. In the next post: Activating specialised functions. This article was read 7249 times. There is little doubt that faster and more efficient processing in the brain will help a person to perform better and achieve more. But is it possible to change how the brain processes information? Motivation is a positive force to help you achieve your dreams – if planned and applied, it changes your behaviour and breaks through negative mindsets. The good news: it's possible to motivate yourself ! The following 12 steps will help you to build up your motivation.